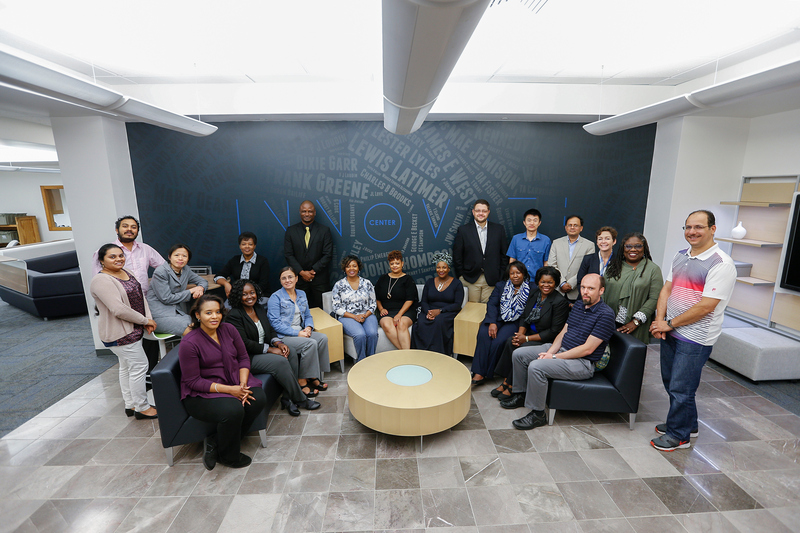 The fifth cohort of Jackson State University’s Academy for Research & Scholarly Engagement recently completed the 2016-2017 session. The year-long program is designed to broaden the community of Jackson State faculty and staff who earn external funding for their scholarly agendas. Planned workshops, coaching and engagement with program officers at funding agencies helped Academy participants in the development of competitive proposals for external research. Established in 2012, the Academy has engaged 107 JSU faculty and staff members. Subsequently, they have been awarded close to $2 million in external funding. The Academy is funded by Title III Programs and by the Division of Research & Federal Relations. Dr. Beckley-Roberts proposes a one-day symposium that critically explores performance and representation of African music and dance in the US especially in relationship to African-American folk and popular culture expressions. She holds a doctorate in musicology at Florida State University and has extensive field research experience in studying African music cultures. Beckley-Roberts is the founder of the Tallahassee Community College African Drum and Dance Ensemble. 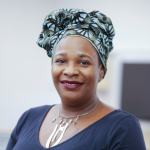 Her scholarly interests include African diasporic music performance; African drum and dance techniques; music, chant, and movement in African and diasporic religious traditions; cultural memory, transmission and tradition; and the relationships between music, healing and cognitive flexibility. Dr. Bernhardt’s research interests include the history of American media and media representation, the American West and popular culture. Many of these topics find expression in a common theme in his work: the ways in which media shape our understanding of race, gender and politics. He proposes to examine how U.S. newspapers used photography to cover humanitarian crises arising from military conflicts during the Progressive Era and to advocate for providing assistance. Bernhardt received the University Faculty Excellence Award for Teaching and Advising (2014-2015) and a Mississippi Humanities Council Grant (2015). He holds a doctorate in history from the University of California, Riverside. Dr. Burnett’s broad research and teach interests are increasing academic success and retention and reducing time to graduation for undergraduates. She has extensive experience in instruction and curriculum and course design for first- and second-year students. Burnett’s proposal develops a certified tutorial program for minority students ill-served by their K-12 education. 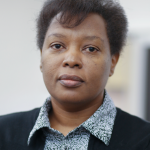 She is a coordinator of the mathematics unit and a mathematics instructor in JSU’s University College. Burnett earned a doctorate in educational leadership/curriculum and instruction from the University of Phoenix. Dr. Dai proposes to develop novel perovskite solar cells by modifying the hole-transport layer and fluorescence upconversion layer of solar cells. If successful, the resultant solar cells would be more stable and more efficient. This research advances Dai’s interests in studying the fundamental science of solar cells and discovering ways to optimize their structures to improve their efficiency. Dai has published scores of papers in peer-reviewed journals and is the co-owner of a U.S. patent. 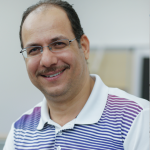 He serves on the editorial boards of Nature – Scientific Reports, SCIREA Journal of Energy, Nanomedicine And Nanotechnology Journal. Dai earned his doctorate at Changchun Institute of Optics, Fine Mechanics and Physics, Chinese Academy of Sciences. 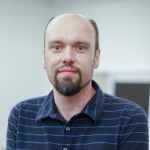 Dr. Eldek seeks support for the development of an RF and Microwave Laboratory that can be used for hands-on research and training as well as for facilitation of online labs in electrical engineering. His primary research areas are applied electromagnetics and engineering education. 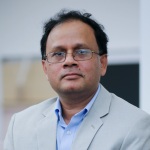 He has received eleven funded grants and published more than one-hundred papers, including forty-one journal papers in prestigious national and international journals and scientific meetings, such as IEEE Transaction on Antennas and Propagation and the International Symposium on Antennas and Propagation and USNC-URSI Radio Science Meeting. He received and was nominated for several professional awards, including the College Outstanding Achievement Award. Eldek obtained his doctorate in electrical engineering from the University of Mississippi. Dr. Howard has extensive experience in developing and implementing best practices for underrepresented minority students in STEM education. 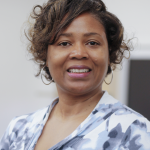 She has been the statewide director of the Tennessee Louis Stokes Alliance for Minority Participation (LSAMP) and a program coordinator for the Math and Science Partnership grant (MAST) at Jackson State. Howard proposes a summer bridge program for incoming freshmen designed to increase the number of minority PreK-12 teachers who obtain highly qualified status. She earned a doctorate in education, administration and supervision (higher education) at Tennessee State University. 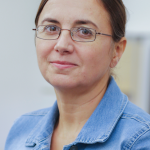 Dr. Joginipelli’s research improves understanding of biomedical problems by applying bioinformatics frameworks and computational and mathematical tools. She has used artificial neural networks to understand tuberculosis, molecular modeling and quantum mechanical studies to explain drug resistance and chloroplast ITS sequences to analyze bioactivity in medicinal plants. 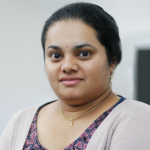 Her proposal seeks to cultivate new generations of computer scientists from under-represented minority groups. Joginipelli earned a doctorate in bioinformatics at the University of Arkansas for Medical Sciences (UAMS) in conjunction with the University of Arkansas at Little Rock. As part of a collaborative team, Dr. Khan proposes a novel heat engine based on a spring balloon that uses waste heat to run. If successful, it could provide an alternative to fossil fuels for energy production. Along with Dr. Alfred Kriman, Khan has submitted a patent for this idea. This project represents one of three research foci for Khan—energy harvesting, tools for disabled people and tools for human rescue in disaster areas. He holds a doctorate in electrical engineering from the University of Notre Dame. Augmenting the research sub-field linking personality traits to political attitudes, Dr. King’s proposal tests the capability of the DISC profile assessment for predicting political participation or behavior. Her research interests and teaching experience encompass racial and ethnic politics, political behavior and urban politics. These fields are integrated with other disciplines to understand the nexus of race and ethnicity, political behavior and the work of policy entrepreneurs especially as manifest in racial/ethnic triangulation. King earned her doctorate in political science and a master’s in public administration from the University of South Carolina-Columbia. Dr. Knott helped design and implement the 2+U Program which helps streamline the transition from Mississippi’s community colleges into four-year health professions academic programs. Building from this experience, he proposes the development of a bridge program to identify African-American males and to guide them through completion of undergraduate degrees in healthcare administration. Knott’s professional experiences combine teaching with professional practice including as a licensed and certified respiratory care technician. Knott earned a doctorate in urban higher education from Jackson State University. 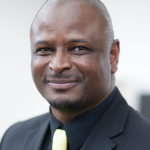 Dr. Kyeyune’s proposal seeks support for field research to understand the role of academic and social integration in the retention of non-traditional university students. The project flows from her research interests that explore retention, mentorship, career development and workplace learning for non-traditional students as well as issues of diversity in human resource management/development. 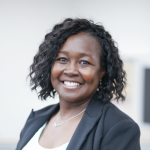 Kyeyune is the founder and co-director of the School of Lifelong Learning’s Professional Development Resource Center, which provides support, mentoring and counseling for the career development of adult learners. 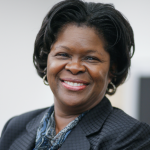 She holds a doctorate in workforce education and development from Southern Illinois University. Dr. Melapu’s research interests marshal computational, mathematical and statistical tools to understand biological phenomena. 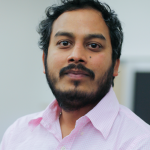 His previous research investigated novel algorithmic approaches for developing predictive computational models to understand drug resistance in tuberculosis patients. Melapu’s proposal seeks to develop a toolkit to aid the early diagnosis of the occurrence of concussion and explore the relationship between hidden patterns in EEG data and the onset of symptoms of neurodegeneration. Melapu holds a doctorate in bioinformatics from the University of Arkansas at Little Rock. Dr. Pacurari’s proposal would explore oxidative stress and the role of MicroRNA-1 in pulmonary fibrosis. This project springs from her research interests including the development of methods to study lung fibrosis, lung cancer and the role of environmental pollutants on alveolar/microvascular interface. She is the principal investigator on a CEH/NIH-RCMI Faculty Career Development Award. She also received a JSU Creative Award. Pacurari earned a doctorate in cell molecular biology/biochemistry at West Virginia University and completed post-doctoral fellowships at West Virginia University and the University of Alabama-Birmingham. She is a reviewer for several journals and an invited editorial member of the Jacobs’ Journal of Molecular and Cellular Biochemistry. Dr. Smith’s scholarly work investigates “story bearers,” those who unearth lost or silenced narrative histories in order to usher them onto a platform for social change. She proposes to interview ten African American writers of Kentucky and to produce an aural/text compilation of interviews, brief biography, literary sample and visual representation through photographs or artwork. Smith has published research essays in critical literary analysis as well as original poetry in multiple volumes. 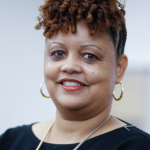 She holds a doctorate in American studies focused on African American literature, life history and material culture from the University of Maryland College Park. 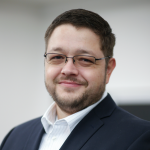 Dr. Thoma has participated in the National Science Foundation’s Assembling the Tree of Life: Decapoda and the European Distributed Institute of Taxonomy’s Support for Exchange of Researchers and similar projects. They were collaborative attempts to understand the systematics and taxonomy of a particular group of crustaceans using methodologies from multiple fields of study. Building on those experiences of integrating data and 12 years exploring the evolution and ecology of aquatic invertebrates in the Florida Panhandle, Thoma proposes to develop and validate a next-generation sequencing approach for assessing genetic diversity as a way to monitor the biological impacts of beach nourishment. Thoma holds a doctorate in environmental and evolutionary biology from the University of Louisiana-Lafayette. Dr. Todd has co-authored funded grants under the auspices of the JSU Metro Jackson Community Prevention Coalition and the JSU Interdisciplinary Alcohol and Drug Studies Center. She has served as co-principal investigator of a Substance Abuse and Mental Health Services Administration (SAMHSA) Campus Suicide Prevention grant. 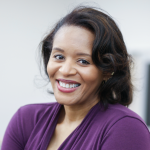 Her research has focused on special populations research, health education and training programs and behavioral health. Her proposal explores utilization of parental support groups among parents of children with autism. Todd earned a doctorate in public health at Jackson State University. 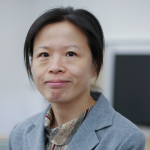 Dr. Zhang’s scholarly interests include policing, legal studies, juvenile justice and comparative criminal justice. In 2016, she published The Rule of Bureaucracy—A Reflection on Chinese Criminal Justice (2016). 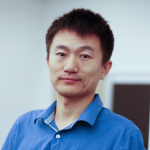 Zhang won a JSU Creative Award to explore intra-group implicit racial bias and police brutality and is a co-principal investigator for a National Science Foundation EAGER grant investigating racial bias in police shootings. Her proposal would implement a three-year educational pathway for at-risk youth, i.e. those in juvenile justice facilities or in foster care. The pathway would including education and job training, behavior modification and life skills training. Zhang earned a doctorate in criminology and public policy from Northeastern University.